Do you have the heart of a smuggler? Then use your smuggler’s instincts to win a copy of Cargo Noir! Days of Wonder is sponsoring a Cargo Noir giveaway contest at Boardgamegeek.com For each correct answer you give to 5 “smuggling” trivia questions, you’ll increase your chances at winning a drawing for 1 of 10 copies of the upcoming Cargo Noir boardgame. 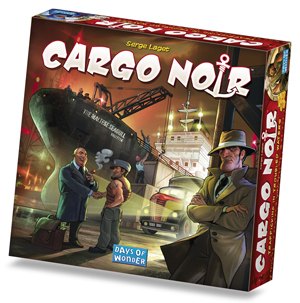 Visit the Cargo Noir Smuggling Contest on Boardgamegeek to enter. You must be a registered BGG member to play. This entry was posted on Monday, January 24th, 2011 at 21:27 and is filed under Blogroll, Cargo Noir, Miscellaneous, News. You can follow any responses to this entry through the RSS 2.0 feed. Both comments and pings are currently closed.